When deciding to install new garage doors, it's important to be aware of your insulation needs and take good measurements. Regardless of what part of the country you reside in, insulation makes all the difference in the world. Some places are extremely hot whereas others may be excessively cold. The idea is to keep the extremes temperature out of your home, including the garage area. Getting the right measurements will save you time and money by preventing damage to your interior walls and ceiling. 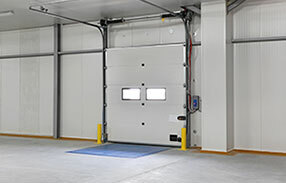 Who wants to order an overhead door and discover soon after that it's too big or too small for his property? 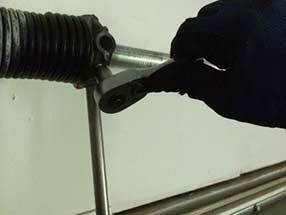 Garage door insulation keeps cold and hot temperatures outside where they belong. If you spend a decent amount of time in your garage, you know why this is important. In certain areas of the country it can get really cold. Wind-chill seeping through a non-insulated door makes it cold inside. Hot temperatures work the same way. A well-insulated door also provides energy efficiency which can obviously help you save on your energy bills. Industry professionals refer to what is called the R-value to determine how well these doors are insulated. Choose at least 10-value for your door and keep in mind that as the number of the thermal resistance indicator goes up, energy efficiency grows but it does not double. So, from 8 to 16, energy efficiency will only go up by 5%. The insulation of the door will be better if you replace the top, side and bottom seals often. if you get windows or doors with aluminum frames, make sure they have retainers for good sealing. Before garage door replacement, measure the garage well. There are certain dimensions you must be aware of in order to ensure that your door operates freely. You must know the headroom measurements. This is the amount of free-space between the ceiling and the top of the door. You must also know what the backroom measurements are. This is the inside length assessment from the front to the back of the garage. Lastly, you must measure the side-room. This is the space at the sides, from the door to the wall. These measurements must be accurate to ensure that your newly installed door doesn't scrub against the walls and ceiling.